As Jesus prepared for the ultimate sacrifice, it was out of love that He broke the bread for you and me. John Parker's lyrics are beautifully set by Benjamin Harlan. 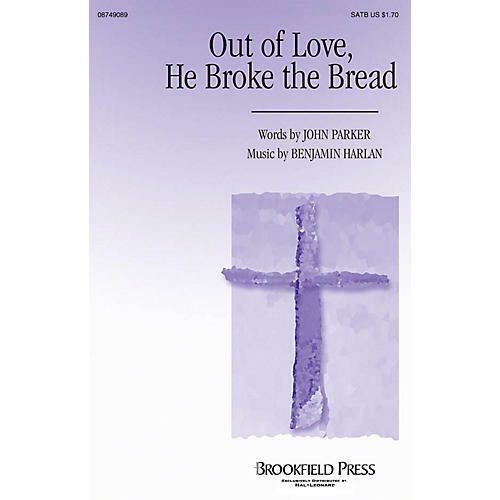 Available separately: SATB, BonusTrax CD. Score and Parts for Chamber Orchestra available digitally (11000/0000/0/01/88442). Duration: ca: 3:25.